Many of the documents I select to count return a total of 0. Please check the settings for each format and make sure that all the necessary elements are checked for counting. 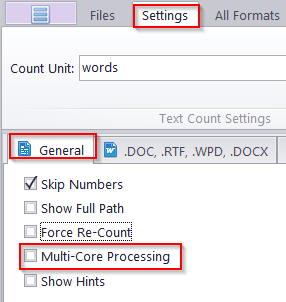 If the problem persists, try disabling "Multi-core processing" in the General settings.